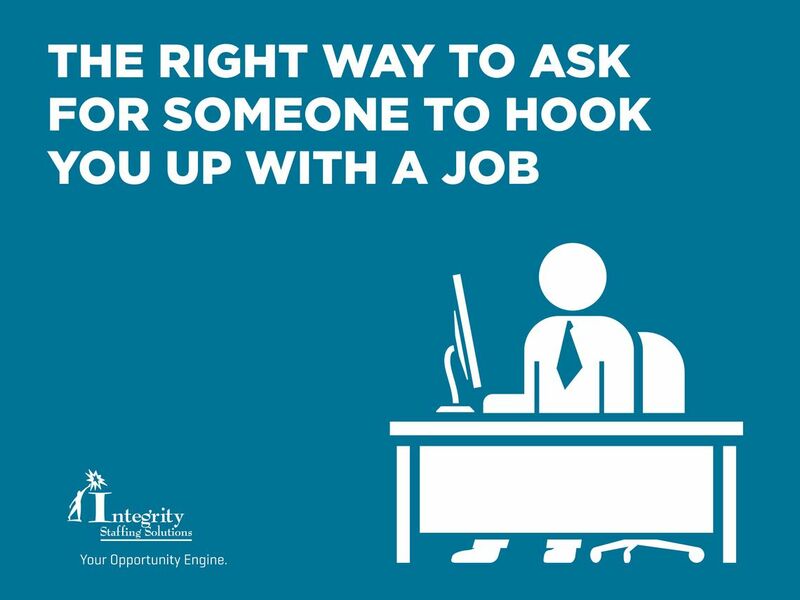 One of the best ways to find a job is through a referral from a friend or professional contact who works at an organization you want to work for. Not only do you learn about job openings that may not have been advertised, but company hiring managers often give preferential treatment to a candidate recommended by a current employee. Take a look at the websites of companies your friends and network contacts work for, to see if there are any job postings that fit your skills. If there are, the next step is to contact your acquaintance and ask for a referral. Here are a few things to keep in mind when you do. No matter how desperately you want the job, don't pass that pressure onto your friend or imply that he's obligated to do you this favor. Instead of bluntly asking, "Can you refer me," say something like, "Would you feel comfortable mentioning me to your hiring manager?" In the spirit of "no pressure," we suggest that it's better to email and give your contact a chance to think it over. Calling puts him on the spot for an instant decision, and you might well get an instant no. 3. Be honest about your suitability for the position. You're asking your contact to put his own reputation on the line by recommending you. Don't make him look bad in front of his HR manager; or if you do, don't expect him to ever do you a favor again. If he doesn't know you well, offer to send him your current resume and any other information that would help your cause. With these tips to guide you, you're ready to leverage your network of friends and connections into a rewarding new job. And don't forget to mention that referral in your cover letter to the hiring manager. It's a powerful leg up on your ladder to career success!